The pointed finger symbolizes our power comes from God. The narrator of movie, the Woodlawn team’s coach, describes Woodlawn as a miracle. After watching the movie, I starting thinking about when over the past couple of weeks have I seen God show up. I pray every day, go to church on Sundays but I am somewhat of a doubting Thomas. I believe in God but am also frequently asking where is He? Upon reflection, I have seen a recent very public instance of God on earth. Pope Francis denouncing Presidential candidate, Donald Trump’s policies on immigration as “not Christian” is a triumph for social justice. Trump’s harsh campaign promises to deport more illegal immigrants and build a wall along the border, may resonate with an angry populous. Remember, George Wallace’s line in the sand on segregation got him elected 4-times. But political rhetoric and Christianity are not the same. Trump immediately fired back that the Pope is “Disgraceful”. I believe the opposite. Pope Francis represents— grace in action. He cares for the poor, washes the feet of prisoners and speaks out on issues of social justice. Pope Francis meeting with crowds in Mexico. No reasonable person could think hunting down and routing out Hispanics from their homes at night, loading up truck loads of Mexicans at gun point in a military maneuvers, breaking up families since children born to illegal residents in America are U. S. citizens, could be seen as Christian acts. The logistics of financing, building, and maintaining a massive wall along the Mexican border are ludicrous. Trump is a brilliant man. He knows the challenges of putting these proposals into action. Trumpism is an effort to capitalize on the anger many Americans feel about the course of our country. Donald Trump is a brilliant man, capitalizing on America’s fear. This same anger was around in the early seventies with start of desegregation. Status threat is a sociological concept with real life consequences. When people’s lives are not going as they hope economically they feel threatened, angry and find someone to blame and lash out at. The targets of their anger may be minorities, homeless, refugees, but almost always the target is someone less powerful. Current economic inequalities are further complicated by global terrorism. We have become a nation of avengers, security zealots, and foreigner-phobes. Trumpism provides a constant, shrill message to rally the masses rising to a crescendo on Election Day. I am not a political forecaster. I do not know if his tactics will be successful. They have certainly gained him international attention. I do know that Trump’s America is not one of Christ-like service to our neighbors and community. I am not a Catholic. But with the selection of Pope Francis, Christians throughout the world have had the opportunity to see God’s boots on the ground on a regular basis. I realize now that I started this blog with the wrong question. God is always there. The right question is, “What happens when Christians show up? The answer is miracles! Idaho greeted 2016 by dropping a potato on Steroids in front of the Statehouse. Yes, it’s true, Idaho has a potato fixation. Thirty percent of all potatoes grown in the United States come from Idaho. The potato is Idaho’s leading agricultural crop. We even host a national bowl game, called the Famous Idaho Potato Bowl (suggesting that in some other unworthy location is another football game named for a tuber). The Martian is thrilling, funny, and age appropriate for a wide range of ages. I took my two children, a college senior and tenth grader on Christmas day and both enjoyed it. The movie is on the Oscar short list for Best Picture, Best Director (Ridley Scott) and Best Actor (Matt Damon). If your family includes children ten or over and you need a family night together, watch The Martian. You’ll have fun cheering Astronaut Watney on, you’ll learn something about solving one problem at a time instead of becoming paralyzed by doubt, and you’ll end up having more respect for the lowly potato. Brooklyn is a 1950’s period piece with beautiful settings in Brooklyn and Ireland. Based on a 2009 novel, by Irish author Colm Toibin, the plot focuses on a young Irish girl, Eilis Lacey’s (Saoirse Ronan) journey from Ireland to Brooklyn, New York. Eilis chooses to immigrate under the sponsorship of the Catholic Church because she has no opportunities in Ireland. In Ireland, her older sister, Rose (Fiona Glascott), has a good job as a bookkeeper and encourages Eilis to go. Rose willingly stays behind with their widowed mother. The fundamental theme of the movie is the conflicting emotional pull of home versus the rational understanding that new beginnings in a foreign country present the possibility but not the guarantee of a better future. Eilis begins life in America living in a boarding house and working as a sales clerk in a large department store. Her homesickness is assuaged when she meets an Italian American plumber, Anthony “Tony” Fiorello (Emory Cohen). The plot twist in Brooklyn is that once Eilis has begun to establish a new life in America, she is presented with the opportunity to build a life rich with possibilities in Ireland. The question for Eilis is which will she choose: America (representing risk and the unknown) or Ireland (representing tradition and long-term emotional connections)? Brooklyn is drenched in fifties culture and provides an exquisite view of the possibilities or lack-their-of for unmarried, young women in both Ireland and America. Marriage to a man with a future is the safest road to a secure future but education that provides a skill is another pathway. Brooklyn captures the transformation of one young woman through a transition of clothes and hair styles from an insecure newcomer to a self-assured young woman who has chosen her own future. The brightness of Eilis’s future shines through in a movie leaving this viewer feeling better about the world. Spotlight has been consistently ranked one of the top movies of 2015. Rated R, this true story focuses on the work of the Boston Globe reporting team, called Spotlight. In January 2002, the team broke the story of the Catholic priests molesting children and the Catholic Church systematically covering up this molestation. The scope of the scandal, worldwide and to the highest levels of the church, led Pope Francis to apologize to victims when visiting America in fall 2015. Since most viewers know the outcome, what makes this movie so engaging? The movie focuses not on the priests, the church, or the victims though all are back stories. The spotlight of the movie is the gritty, hard working Boston Globe reporting team. The movie title Spotlight is actually a double entendre, gleaned from the name of the reporting team, the movie in turn focuses the spotlight on the work of afore-named team, on the cover-up within the Catholic Church and ultimately on the treacherous tentacles that draw seemingly normal, good people into administrative evil. In the movie, the team is composed of top actors (Michael Keaton, Mark Ruffal, Rachel McAdam and Brian d’Arcy). The Globe’s team in 2001/2002 was composed of some of the top news paper reporters in the country. The Spotlight team’s performance and work ethic meets the standards of a Harvard Business Review article. Everyone understands the goal and their role in getting the story done. Each member of the team gives their all to create a cohesive, documented story under a tight deadline. The entire team is emotionally impacted by the tawdriness of Catholic Church’s failure to protect children and the egregious long-term impact of molestation on victims. But the real hook isn’t the high quality acting. The compelling question for the viewer is how did this go on for so long? As the movie unfolds, a culture of complicity unfolds before us. The Catholic Church is one of the most powerful entities in Boston. More than 50 percent of the Globe’s readership were Catholic. The reporting team along with many Bostonians grew up in the Catholic faith and went to Catholic schools. This embedded culture led to children being seduced by priests, parents being shamed by church officials for complaining, and lawyers legally negotiating sealed settlements. Even when the Globe was first given the story in 1992; the blinders of culture kept a member of the Spotlight team from grasping the pattern and scope of the problem. The viewer is told at one point that only an “outsider “could really see the problem. The outsider in this case was the new Globe Editor in Chief, Marty Baron, from the Miami Herald (Liev Schreiber). Jewish and from out of state, Baron found a column about a priest molesting a number of children noteworthy while his Boston staff did not. In final analysis, Spotlight isn’t only a story about molestation in the Catholic Church. Rather, it is a stirring analysis of administrative evil. Guy Adams in his book, Unmasking Administrative Evil (2014), describes administrative evil as ordinary people engaging in acts of evil unaware they are doing anything wrong. Some of these individuals even view their evil activity as good. In Spotlight, we see several people who argue their cover-up is for the good of the church. These individuals equate what is good for the church as equaling what is good for Boston and the Globe. The movie ends with a haunting, long list of all the locations around the world where cover-up of priest molestation has been documented. The lingering question for each audience member is, “Where might I be tacitly contributing to administrative evil just by looking the other way?” Is it global warming, failure to speak up for refugees or laughing when politicians endorse building elaborate walls. Possibly even more subtle, equally complicit, do I silently watch unkindness, lack of compassion or ethical violations by my boss, coworkers, my neighbors or my church? What tentacles of administrative evil are creeping into my life? Where do I need to go under a spotlight? James Bond in Spectre; a solo kite dancing in a hurricane! 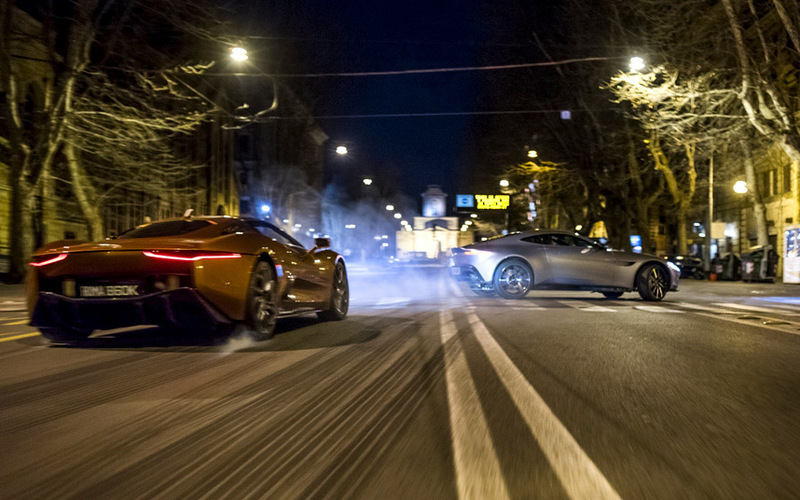 Spectre has gadgets, violence, and plot twists. I was introduced to Ian Flemming’s James Bond, British Secret Service agent 007 at our 1969 high school graduation party. Sean Connery played the tough, elegant Bond in Dr No (1962). Released in 1962, the first of the continuous Bond franchise. 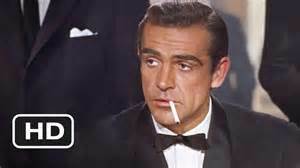 Sean Connery the first Bond set the tone for future Bonds, aloof, womanizing, narcissist. 3. There were wonderful wild gadgets to surprise and amuse; 4. There was substantial violence (tame by today’s standards) and 5. The plot was really convoluted. Over fifty years later (24 James Bond films and 8 James Bonds), Spectre (Special Executive for Counter-intelligence, Terrorism, Revenge and Extortion) is still taunting Bond. 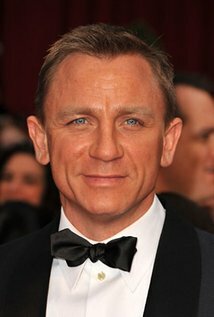 Daniel Craig has now played Bond four times (Casino Royale 2006; Quantum Solace 2008; Skyfall 2012). For anyone born in the 1980s or later, Craig is James Bond. Daniel Craig, thank to Bond is one of the most recognizable faces from Britain. For those of us who have seen the other Bonds, Craig is by far the grittiest, toughest, enigmatic, and athletic of the Bonds. Craig’s Bond is impeccably dressed. In fact, the Wall Street Journal recently touted Spectre’s Bond as a premier fashion icon for men. But Craig’s clothes are just a veneer for Bond, the consummate loner who uses and abuses his fellow agents, has street-smarts, is capable of daring feats and whose moral compass is out of sync with bureaucracy. After 50 years, Bond is still able to get any woman into bed. Craig makes a great male lead in an action movie; he not only looks the part but he has the ability to bring to film this sense of isolation and total focus. For me, his most memorable performance was in A Girl with a Dragon Tattoo as the reporter trying to find a child who disappeared many years before. His best Bond was his first, Casino Royale. 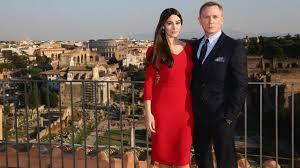 Monica Bellucci at 50 is Bond’s oldest and possibly quickest female conquest. 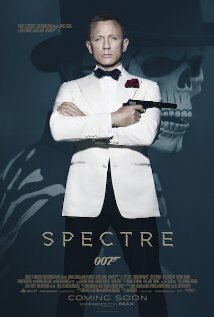 Spectre, as promised, is a gargantuan spectacle, a good way to spend a rainy afternoon. Viewers are treated to a visual feast of exotic locales across the world; Mexico City, London, Rome, Austria, Morocco. There are action scenes with a uniquely equipped spy car (a Bond signature item), airplanes, and many helicopters (apparently the preferred mode of travel for 2015 good guys and bad guys). There are formulaic gadgets and violence aplenty. Bond always a womanizer seduces two beautiful women, one with literally only an introduction. There are layers upon layers of storylines from previous Bond movies amazingly circling back to an old family connection. Ultimately, Spectre is not one of the great James Bond movies. The movie feels bloated as if the writers felt compelled to include every imaginable plot twist and the cost to make of over $300 million reinforces this failure to edit. All 24 Bond movies showcase a special spy car. The car chase goes on and on, the train fight occurs on a train where everyone has disappeared including the kitchen staff, drills into Bond’s head have no impact on him; amazingly he seems energized by this torture. I personally have never found the Bond franchise as appealing as some other action movies, partially because the movies are so-o-o sexist. In the 60’s when Bond came of age, women jumping in and out of bed seemed risqué but not totally implausible, partially because Bond was such a male stereotype. As the world has changed, Bond has evolved into a strong, energetic, complex man. Given fifty years of women’s rights, AIDS and STDs, Bond women have not transformed appropriately. Does anyone think a 50 year old widow on the day of her husband’s funeral and who just escaped two assassins would be so sexually starved or find Bond so attractive that she would allow herself to be seduced standing up on first meeting. This woman exists only in men’s fantasy worlds. Ultimately, Mr. White was right. Mr. Craig in Spectre is a kite dancing in hurricane, an exceptional actor dancing in a plot that is awhirl with nonsense, noise, and flash. Ethan Hunt (Tom Cruise) and his IMF team have been roaming the world searching out bad guys in the commercially and critically acclaimed Mission Impossible (MI) series since 1996. 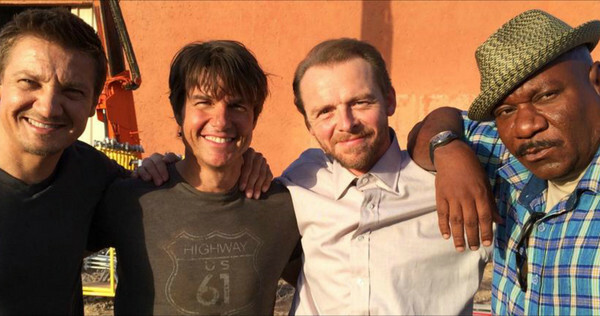 In the newest of four sequels, MI–Rogue Nation, Cruise and his buddies, the Impossible Mission Force (IMF), are dismantled by a Congressional Committee at the behest of the CIA Director Alan Hunley (Alec Baldwin). Director Hunley, viewing Hunt a threat to America’s interests, commits all of the CIA’s vast resources to tracking Hunt down. While the CIA is seeking Hunt, a network of former undercover operatives initiates a series of terrorists’ attacks to destabilize existing governments and establish a new world order ( a’la the Rogue Nation). 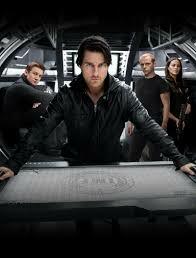 The plot hinges on Hunt’s ability to outwit the CIA while he and his IMF team root out the leadership of the Syndicate. 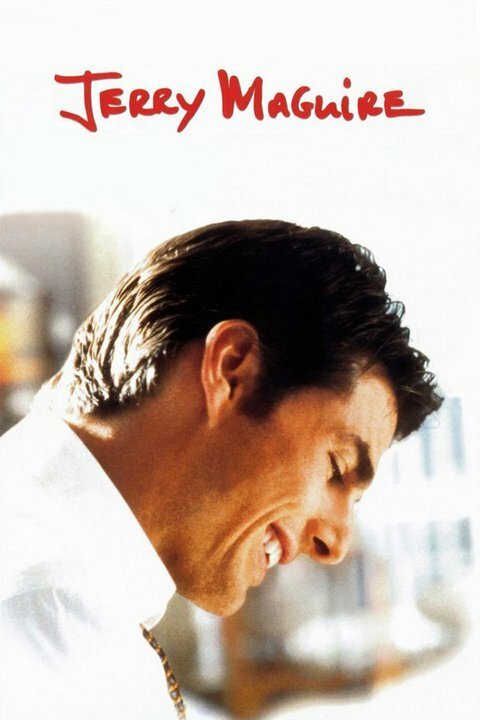 The movie has everything you would expect from a blockbuster; i.e.a big movie star, Tom Cruise, who had both Renee Zellweger and me, “At Hello!” in Jerry McGuire (1996). Cruise, now 53, is still in great physical shape and exudes quiet confidence. Hunt’s persona remains incredibly consistent through all five movies; the loner who establishes immense loyalty among the men and women he leads, propelled to do impossible feats by adrenal, shear willpower and commitment to his country. Sexually attractive to women, he is unable to commit because his first love is the mission. The haunting Mission Impossible theme song (Adam Clayton and Larry Mullen) with the strong beat, recognizable to most Americans, strings the sequels together as does the continuation of members of the IMF team . Luther Stickell (Ving Rhames) has been in all five movies, Benjamin “Bengi” Dunn (Simon Pegg) in the last three, and William Brandt (Jeremy Renner) in the last two. Newcomer Rebecca Ferguson, playing British agent Ilsa Faust, provides a strong female protagonist and positive role model of the capabilities of women. Rogue Nation engulfs viewers in a great motor cycle chase, impossible under water aquabatics, roof and plane jumping, guns, bombs, torture, fighting and surprising impersonations. The plot line is propelled by dazzling techno/gizmos, disappearing data, and improbable security breaches. Needless to say, this is Tom Cruise and his team so in the end America and Europe are saved and the Syndicate is annihilated. While there is no surprise to the overall plot , there are lots of fun twists and turns throughout. Attending an $3 afternoon show at a second run theater, I certainly got my money’s worth. Every day business spends a fortune attempting to create the 8 facets of the successful IMF team culture. 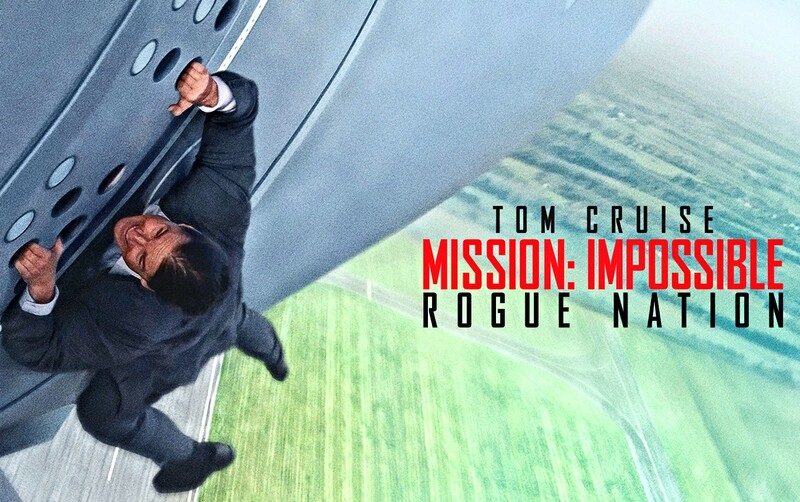 The next time your boss suggests a team building exercise, why don’t you propose going to Mission Impossible-Rogue Nation instead.